Here are the latest rehearsal shots for this season’s revival of David McVicar’s much-admired production of Verdi’s Rigoletto, first seen at Covent Garden in 2001 with sets by Michael Vale and costumes by Tanya McCallin. The latest revival opened on 11 October with a Covent Garden debut from young Israeli-born conductor Dan Ettinger, Chief Musical Director at the National Theater Mannheim. Ettinger shares conducting honours with Christopher Willis, who takes the baton on 4 and 6 November. 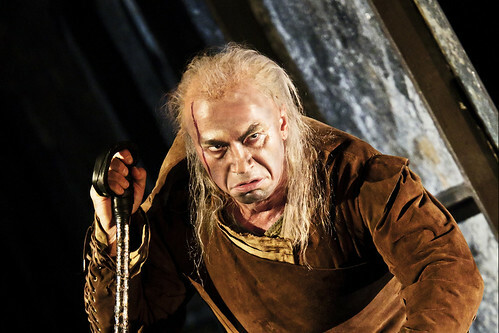 The title role is shared between Russian baritone Dmitri Hvorostovsky and Italian baritone Paolo Gavanelli (16, 21 Oct and 4, 6 Nov) who created the role in the original 2001 production. 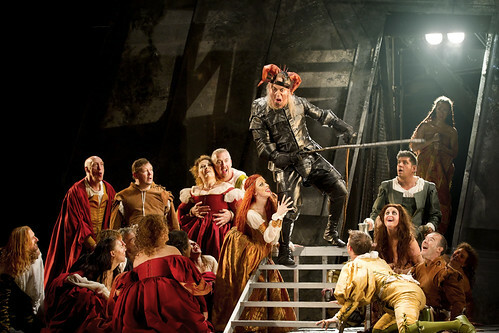 Tanya McCallin’s extraordinary costume designs dress Rigoletto in a fitted black leather jester’s suit with animal-like horns on his hat. 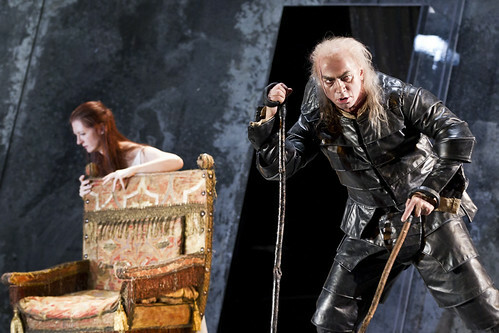 Dmitri Hvorostovsky (picture here) had previously donned this weird insect-like garb for the role of Rigoletto in the 2005 production. More recently he has performed at Covent Garden in the, far more handsome, guise of Giorgio Germont in La traviata. 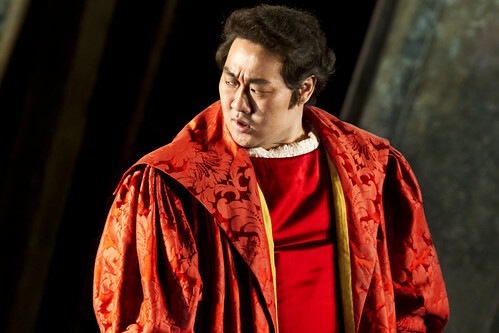 Korean Tenor Wookyung Kim (pictured here) is the silver-tongued Duke of Mantua, the role with which he made his debut with The Royal Opera in 2007. Sharing the role of Gilda, Rigoletto’s poor doomed daughter, is Italian soprano Patrizia Ciofi (pictured here) (11, 14, 19. 23, 27, 30 mat, 2 November) and Russian soprano Ekaterina Sadovnikova (16, 21 October, 4, 6, November). 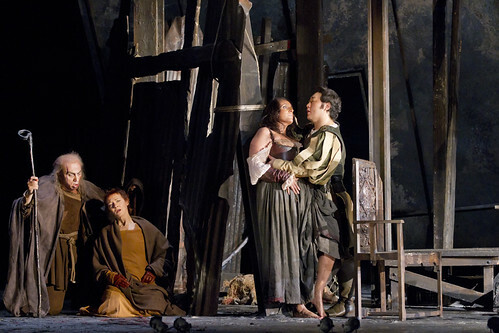 Patrizia Ciofi made her debut for The Royal Opera as Gilda in 2002 and reprised the role in 2007. 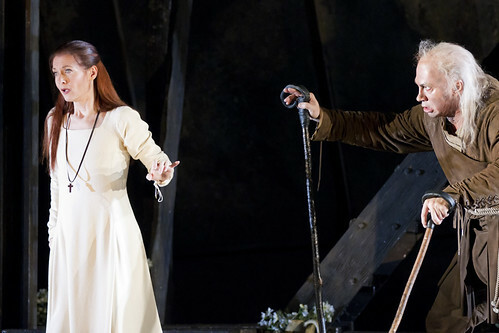 Ekaterina Sadovnikova makes her Covent Garden debut in the role. 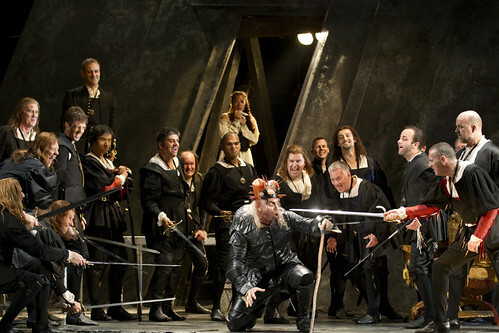 Follow the links for more information on when to see performances of Rigoletto and head to our Discover page to read the act-by-act synopsis. 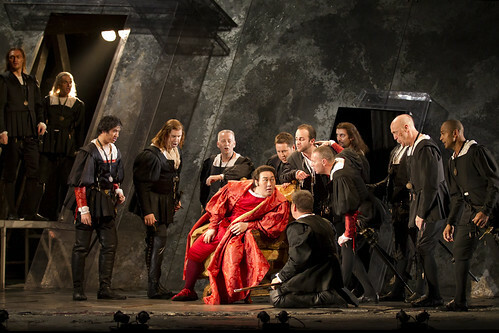 Rigoletto is presented with generous philanthropic support from Peter and Elisabetta Mallinson. All Photos © The Royal Opera and Johan Persson. Who is the lighting designer?